The Shabaab al-Mujahideen Movement claimed 20 attacks on AMISOM, Kenyan and Somali forces in southern Somalia from October 21-27, 2013, and reported its punishing four criminals and receiving three soldiers who surrendered. The Shabaab al-Mujahideen Movement claimed 39 attacks on Djiboutian, Kenyan and Somali forces from October 6-20, 2013, and reported on its community projects and Shariah courses, and the surrender of enemy elements in the same period. The Shabaab al-Mujahideen Movement released a video of its fighters raiding Somali military defenses in the city of Afmadow in Somalia's Lower Juba region, and firing mortar shells at a Kenyan military base in Kismayo airport. A jihadist asked fellow forum members why they do not physically participate in jihad, especially at this time when there are many active, open battlefields, including Afghanistan, Chechnya, Iraq, Mali, Somalia, Syria, and "Tunisia soon". The Shabaab al-Mujahideen reported 53 attacks it carried out between September 21 and October 4, 2013, including an operation in Mandera, a city in Kenya's North Eastern Province, and its fighters allegedly repelling U.S. Navy SEALs in Barawe. 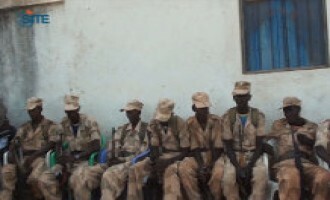 The Islamic Media Observatory interviewed Abdul Raouf Abu Zeid Muhammad Hamza, one of four men sentenced to death for the murder of American diplomat John Michael Granville and his driver in Khartoum, Sudan, in January 2008. 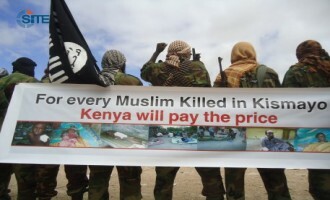 The Shabaab al-Mujahideen Movement held a military rally in Buuloburde district of Somalia's Hiran region, with fighters displaying banners containing threats against Kenya such as "Westgate was just the beginning" and "For every Muslim killed in Kismayo, Kenya will pay the price". A jihadist gave an alleged firsthand account of the U.S. Navy SEAL raid in Barawe to capture a senior official in the Shabaab al-Mujahideen Movement, claiming that fighters killed one SEAL and forced the others to retreat. The Shabaab al-Mujahideen Movement reported 52 attacks in Somalia between September 7 and September 19, 2013, including a suicide bombing that targeted Interim Juba Administration leader Ahmed Madobe in Kismayo. Mukhtar Abu al-Zubeir, the leader of the Shabaab al-Mujahideen Movement, spoke on the four-day siege at the Westgate shopping mall in Nairobi, Kenya, and threatened more attacks if Kenya does not withdraw its military from Somalia. 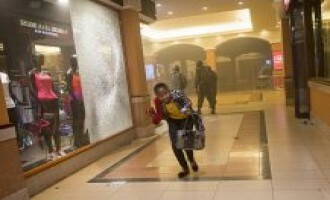 The Shabaab al-Mujahideen Movement claimed that Kenyan forces used chemical agents to end the siege at the Westgate shopping mall in Nairobi, killing an alleged 137 hostages in the process. The Islamic World Issues Study Center (IWISC) reported that a faction within the Shabaab al-Mujahideen Movement opposed to the group's leader, Mukhtar Abu al-Zubeir, is responsible for the siege at the Westgate shopping mall in Nairobi, Kenya. The Shabaab al-Mujahideen Movement released an audio speech from its spokesman Ali Mahmoud Ragi (AKA Ali Dheere), threatening the Kenyan government to withdraw its military from Somalia and stop encroaching in Somali affairs or it will suffer more attacks. 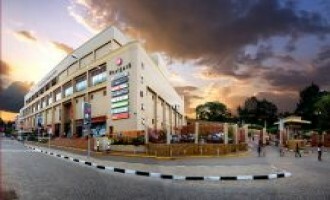 The Shabaab al-Mujahideen Movement reported that its fighters are still inside the Westgate shopping mall in Nairobi, Kenya, and their hostages are alive, “looking quite disconcerted but, nevertheless, alive”. Khattab al-Masri, who is allegedly being pursued by the same team from the Shabaab al-Mujahideen Movement that killed Omar Hammami (AKA Abu Mansour al-Amriki) and Usama al-Britani, addressed Somalis in an audio regarding his issue with Shabaab leader Mukhtar Abu al-Zubeir. 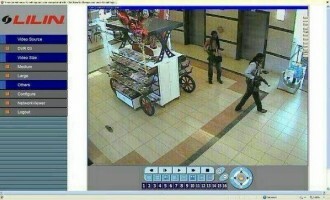 As gunmen from the Shabaab al-Mujahideen Movement raided the Westgate shopping mall in Nairobi, Kenya, killing over 60 people and injuring 175 others, jihadists praised the group for the “successful blow” and taunted the Kenyan government and military. As Shabaab gunmen continue to besiege the Westgate shopping mall in Nairobi, Kenya, taking dozens of hostages and killing at least 39 people and injuring 293 others, the incident marks the culmination of over two years of threats to the Kenyan government regarding the war in Somalia. 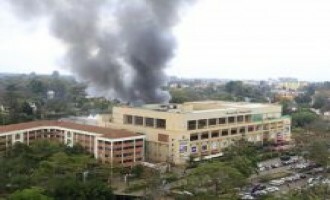 The Shabaab al-Mujahideen Movement claimed responsibility for the deadly attack at the Westgate shopping mall in Nairobi, Kenya, on September 21, 2013, calling it a "consequence" of Kenya's military involvement in Somalia. The Shura Council of the Sinam al-Islam Jihadi Network condemned Mukhtar Abu al-Zubeir, the leader of the Shabaab al-Mujahideen Movement, and the fighters who carried out his order to kill Omar Hammami (AKA Abu Mansour al-Amriki) and others. 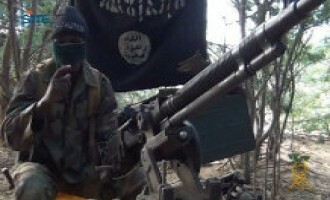 Shabaab Calls Brussels Conference on Somalia a "Belgian Waffle"
The Shabaab al-Mujahideen Movement remarked on an international conference held in Brussels, Belgium, regarding reconstruction aid to Somalia, calling it meaningless and likening it to a Belgian waffle - "sweet on the outside but really has no much substance to it". The Kenya-based Muslim Youth Center (MYC) issued a statement on the reported killing of American jihadist Omar Hammami (AKA Abu Mansour al-Amriki) by the Shabaab al-Mujahideen Movement, justifying his death and defending Shabaab leader Mukhtar Abu al-Zubeir. 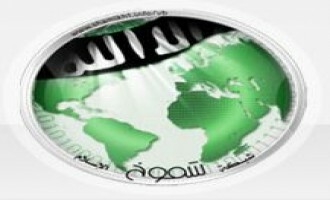 The Shabaab al-Mujahideen Movement's Press Office returned to Twitter after its account was suspended, and in postings between September 10 and September 12, 2013, commented on the twelfth anniversary of the 9/11 attacks, and the U.S. welcoming Russia's proposal regarding Syria's chemical weapons, and claimed a suicide bombing on Juba administration leader Ahmad Madobe. The Islamic World Issues Study Center (IWISC) mourned the death of American jihadist Omar Hammami (AKA Abu Mansour al-Amriki), British jihadist Usama al-Britani, and a Somali fighter, who were killed by the Shabaab al-Mujahideen Movement. 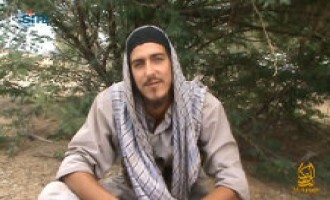 A jihadist reported that Omar Hammami (AKA Abu Mansour al-Amriki) and a British and a Somali fighter with him were killed by the Shabaab al-Mujahideen Movement. 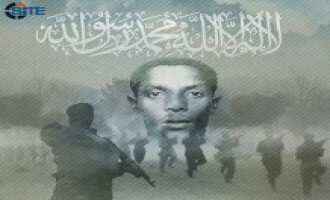 The Shabaab al-Mujahideen Movement issued a series of messages on its English Twitter account in which the group claimed two sets of attacks in Somalia between September 3, 2013 and September 4, 2013. The Islamic World Issues Study Center (IWISC) alleged that fighters from the Shabaab al-Mujahideen Movement kidnapped the wives of Omar Hammami (AKA Abu Mansour al-Amriki) and killed two Muslims in Dinsoor. The Shabaab al-Mujahideen Movement issued a series of messages on its English Twitter account in which the group warned that a possible Western military strike against Syria would actually have jihadists as its primary target. 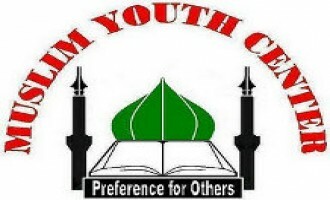 The Kenya-based Muslim Youth Center (MYC) pledged to continue supporting jihad in a message issued for the first anniversary of radical cleric Abou Rogo Mohammed's killing. 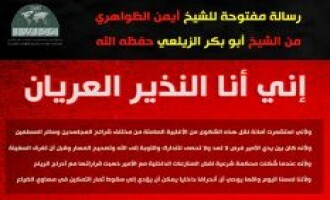 The Shabaab al-Mujahideen Movement issued a series of messages on its English Twitter account condemning the Egyptian Armed Forces for its crackdown against the Muslim Brotherhood in Egypt and calling on Muslims to fight back to defend themselves and Islam. Al-Sham Jihadi Media Foundation released pictures from a forthcoming production showing groups of Somali men, women and children praising the al-Qaeda-affiliated Islamic State in Iraq and the Levant (ISIL). The Shabaab al-Mujahideen Movement released the first episode in a new video series focusing on fighters from Minnesota who were killed in the Somali battlefield. 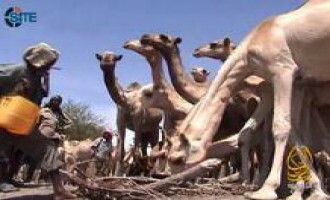 The Kenya-based Muslim Youth Center (MYC) responded to the July 2013 Somalia report from the UN Monitoring Group on Somalia and Eritrea, criticizing it for inventing "wishful thinking conspiracies". The General Command of the Shabaab al-Mujahideen Movement gave a eulogy for the deputy leader of al-Qaeda in the Arabian Peninsula (AQAP), Abu Sufyan al-Azdi, and vowed that fighters will take revenge for his death and the death of other fighters and leaders. 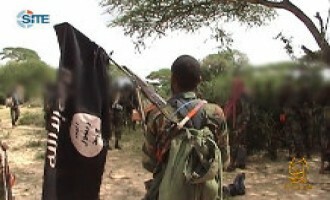 Shabaab Leader Advises His Fighters, Says War is "Borderless"
The Shabaab al-Mujahideen Movement released an audio speech from its leader, Mukhtar Abu al-Zubeir, giving advice to the group's fighters and telling them that their war is "borderless" and not confined to any specific country. 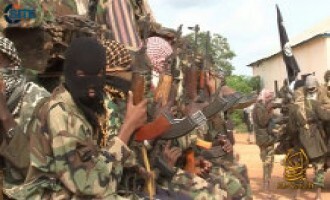 The Shabaab al-Mujahideen Movement announced the execution of 108 military operations in the first fifteen days of its "Ramadan offensive," and threatened that the attacks will take an "upward trajectory" in the second half of the month. The Shabaab al-Mujahideen Movement claimed that Gary Schroen, whom the group identified as the Director of CIA Operations in East Africa, died from injuries sustained in the July 12, 2013, suicide bombing near Mogadishu International Airport for which it claimed responsibility. The Kenya-based Muslim Youth Center (MYC) published an "exclusive" interview with its leader, Ahmad Iman Ali, about jihad in Kenya and Somalia, his role in the Shabaab al-Mujahideen Movement and appearances in its videos, and allegations that the Shabaab abuses foreign fighters. The Shabaab al-Mujahideen Movement claimed killing at least two US intelligence officials and eight African "Crusaders" in a suicide attack near Mogadishu International Airport in Somalia. 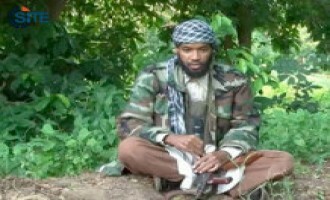 An alleged fighter in the Shabaab al-Mujahideen Movement in Somalia claimed that the group killed prominent jihadi figure and Shabaab official Abu Bakr al-Zayla'i (AKA Ibrahim al-Afghani) due to his public denouncement of Mukhtar Abu al-Zubeir. 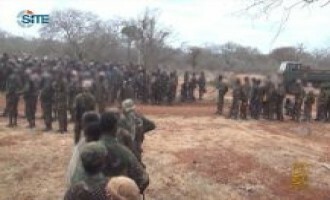 The Shabaab al-Mujahideen Movement released a video focusing on its clash with Kenyan and Somali forces in the city of Fafih Tun in Somalia's Gedo region. 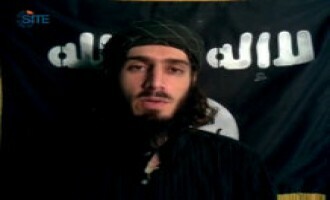 An alleged Italian jihadist reported that a fighter from Genoa, Italy, Ibrahim Giuliano Delnovo, was killed in Syria on June 18, 2013. An unnamed East Africa-based group released a biography of Saleh Ali al-Nabhani AKA Abu Yusuf, a commander in al-Qaeda and the Shabaab al-Mujahideen Movement who was killed in Somalia's Lower Shabelle region in September 2009. The Shabaab al-Mujahideen Movement claimed killing at least 16 UN workers including three Britons, two Kenyans and a South African, and 19 security elements from among Somali and AMISOM forces and guards in a raid on the UN Development Program compound in Mogadishu. The Shabaab al-Mujahideen Movement issued a second statement addressing criticisms levied against its leader, Mukhtar Abu al-Zubeir, by Omar Hammami (AKA Abu Mansour al-Amriki) and senior Shabaab officials, and condemning these detractors for exposing the group's secrets to the enemy. 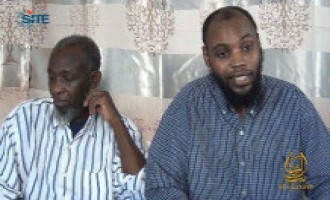 The Shabaab al-Mujahideen Movement released pictures of the two Kenyans in took hostage following its May 25, 2013, raid at a police base in Dhamajale, Kenya. 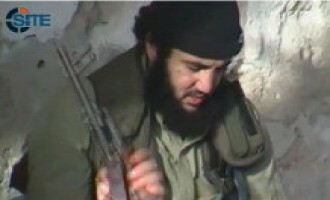 Omar Hammami (AKA Abu Mansour al-Amriki) continued to focus on his issues with the Shabaab al-Mujahideen Movement and its leader, Mukhtar Abu al-Zubeir, in the questions he chose to answer first in his open interview, and for questions 2-10, he discussed his reasons for using YouTube to expose the conflict to the public, and commented on whether other foreign fighters have the same problems as he. In response to the first question he chose to answer in his open interview, Omar Hammami (AKA Abu Mansour al-Amriki) discussed the issues between foreign fighters and Shabaab al-Mujahideen Movement leader Mukhtar Abu al-Zubeir, and Zubeir's alleged violations of Shariah. 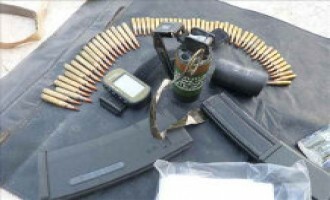 The Shabaab al-Mujahideen Movement claimed capturing a Ugandan commander during a raid on a base on the outskirts of the Somali capital, Mogadishu. 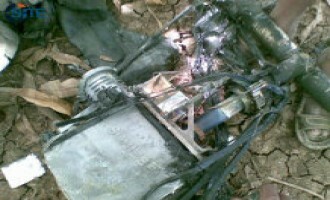 The Shabaab al-Mujahideen Movement reported that a US drone crashed in a town its controls in Somalia's Lower Shabelle region, and provided pictures of the alleged wreckage. 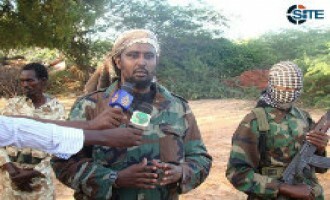 Zubeir al-Muhajir, who identified himself as the head of the Shabaab al-Mujahideen Movement's Arbitration Court, called upon the group's leader, Mukhtar Abu al-Zubeir, to stand trial before an independent court for his alleged actions against Omar Hammami (AKA Abu Mansour al-Amriki) and four of Hammami's colleagues. The Shabaab al-Mujahideen Movement released a video confession of a spy and his two accomplices for their roles in the killing of Bilal al-Berjawi and Abu Uhud al-Masri in Somalia. 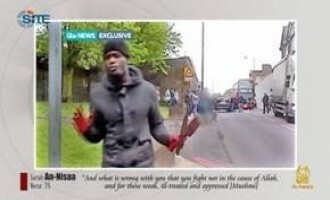 Shabaab Comments on London Attack, Calls Such Incidents "Inevitable"
The Shabaab al-Mujahideen Movement commented on the brutal cleaver attack on a British soldier by two men believed to be Muslim converts in London's Woolwich neighborhood on May 22, 2013, claiming that such incidents are "inevitable". The Shabaab al-Mujahideen Movement released a video showing a clash with Somali soldiers in the city of Dobley in Somalia's Lower Juba region. The Shabaab al-Mujahideen Movement's media arm, al-Kata'ib Media Foundation, released a response to the recent criticisms levied against its leader, Mukhtar Abu al-Zubeir, by Omar Hammami (AKA Abu Mansour al-Amriki) and senior group officials including Hassan Tahir Aweys and Abu Bakr al-Zayla'i. 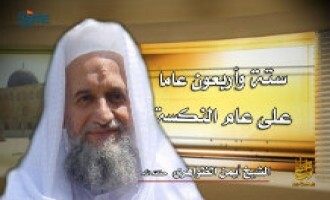 The Islamic World Issues Study Center (IWISC) released the answers to the open interview it held between jihadist forum members and Omar Hammami (AKA Abu Mansour al-Amriki). 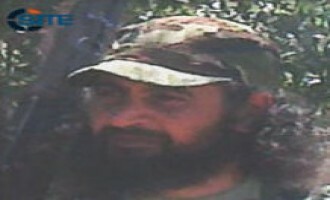 In the sixth issue of its "Biographies of the Well-Known Martyrs in East Africa," an unnamed group of fighters in East Africa wrote about Hassan al-Toor al-Maghribi (AKA Abu Ibrahim), a Shabaab al-Mujahideen Movement fighter from Morocco who was killed in an airstrike in Somalia's Lower Shabelle region. 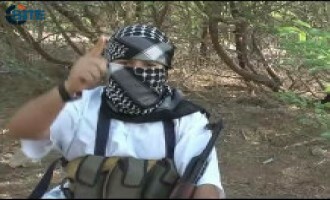 An alleged jihadist in Somalia identified as "Abu Yusuf al-Gharib" called on fighters and jihadi leaders all over the world to intervene to save the life of Omar Hammami (AKA Abu Mansour al-Amriki) and those with him who are reportedly pursued for death by the Shabaab al-Mujahideen Movement. 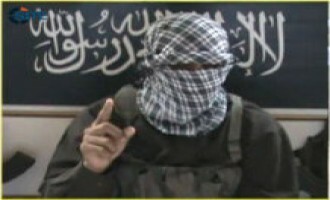 The Shabaab al-Mujahideen Movement released an audio speech from its leader, Mukhtar Abu al-Zubeir, calling for attacks against enemy forces in Somalia and speaking on the May 7, 2013, London Conference. 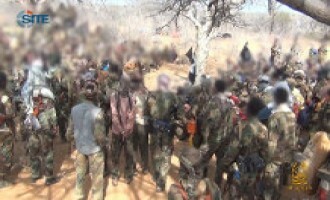 The Shabaab al-Mujahideen Movement released pictures from a military parade it held near Barawe district of Somalia's Lower Shabelle region on April 29, 2013, posting four on its Twitter account and distributing eighteen to pro-Shabaab Somali websites. Officials in a faction within the Shabaab al-Mujahideen Movement that opposes the group's leader, Mukhtar Abu al-Zubeir, gave an alleged fatwa against his targeting of Omar Hammami (AKA Abu Mansour al-Amriki) and a British and Egyptian fighter with him. 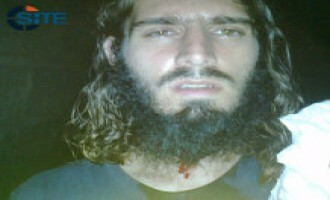 Omar Hammami (AKA Abu Mansour al-Amriki) claimed that an assassin belonging to the Shabaab al-Mujahideen Movement shot him in the neck. The Somalia-based Islamic World Issues Study Center (IWISC) released a message attributed to another prominent figure in the Shabaab al-Mujahideen Movement publicly criticizing the group's leader, Mukhtar Abu al-Zubeir, over grievances among foreign fighters. 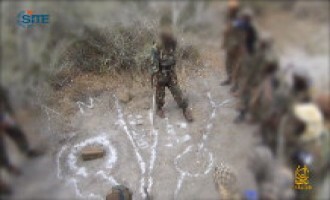 The Shabaab al-Mujahideen Movement released a video showing a ceremony held in the town of Dinsoor in Somalia's Bay region for the "repentance" of eight Somali soldiers. 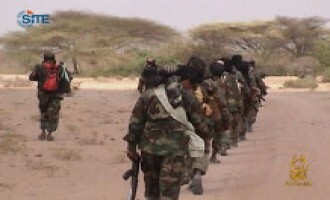 The Shabaab al-Mujahideen Movement released a video showing an ambush against a convoy of Kenyan soldiers in the town of Bibi in Somalia's Lower Juba region. 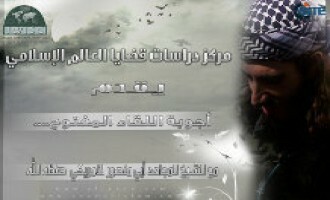 In the fourth issue of its "Biographies of the Well-Known Martyrs in East Africa" series, an unnamed group of fighters focused on Bilal al-Berjawi, who was killed in a drone strike on the outskirts of the Somali capital, Mogadishu, in January 2012. 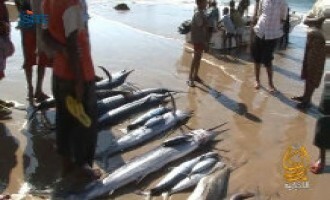 The Shabaab al-Mujahideen Movement claimed killing over 127 Somali intelligence agents, officials and spies since the launch of a campaign in the Somali capital, Mogadishu, in January 2013. 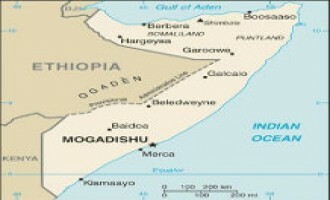 The Shabaab al-Mujahideen Movement claimed two suicide raids in Mogadishu, one at a courthouse and the other near the airport, and declared that such attacks are a "clear testament" to its power in the Somali capital. An unnamed group of fighters in East Africa released a biography of Fazul Abu Muhammad, an al-Qaeda official and Shabaab al-Mujahideen Movement commander who helped organize attacks in Kenya and Tanzania, and was killed in Somalia in June 2011. The Somalia-based Islamic World Issues Study Center (IWISC) released a biography of Abu Bakr al-Zayla'i (AKA Ibrahim al-Afghani), a prominent jihadi figure and a founder of the Shabaab al-Mujahideen Movement, whose name is attributed to a document speaking out against the Shabaab's leader, Mukhtar Abu al-Zubeir. 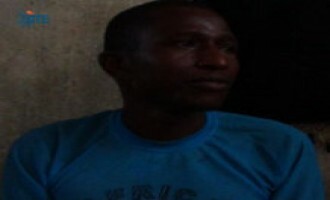 The Kenya-based Muslim Youth Center (MYC) accused Omar Hammami (AKA Abu Mansour al-Amriki) of masterminding the message attributed to a founding member of the Shabaab al-Mujahideen Movement in which he spoke out against Shabaab leader Mukhtar Abu al-Zubeir and appealed to al-Qaeda leader Ayman al-Zawahiri for intervention. 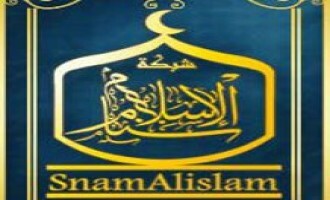 The Somalia-based Islamic World Issues Study Center (IWISC) released a message attributed to a prominent figure in the Shabaab al-Mujahideen Movement and the jihadist movement in general, speaking out against Shabaab leader Mukhtar Abu al-Zubeir and appealing to al-Qaeda leader Ayman al-Zawahiri for intervention. 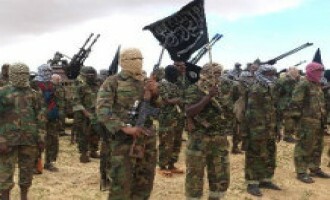 The Kenya-based Muslim Youth Center (MYC) and its branches in Somalia and Tanzania congratulated the Shabaab al-Mujahideen Movement for allegedly penetrating Villa Somalia and stealing classified documents. The Shabaab al-Mujahideen Movement announced that its “intelligence teams” took classified documents from the office of Somali President Hassan Sheikh Mohamoud and it will release some of them in the coming hours. 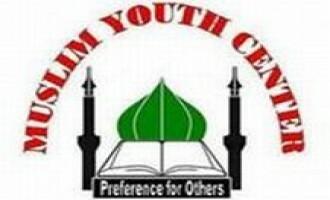 The Kenya-based Muslim Youth Center (MYC), together with its members in Somalia and Tanzania, and the “majority” of fighters in Kenya, demanded that the Shabaab al-Mujahideen Movement take action against Omar Hammami (AKA Abu Mansour al-Amriki) for fomenting dissent. 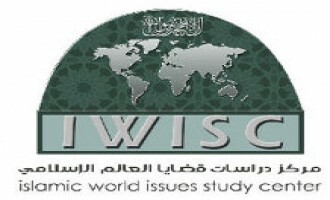 The Somalia-based Islamic World Issues Study Center (IWISC), in cooperation with the Sinam al-Islam and al-Jihad al-'Alami networks, offered an open interview with Omar Hammami (AKA Abu Mansour al-Amriki). A jihadist gave a biography of Abou Rogo Mohammed, a radical Kenyan cleric who was designated by the US Treasury Department for supporting the Shabaab al-Mujahideen Movement in Somalia, and was murdered by unknown gunmen in Mombasa, Kenya, in August 2012. A jihadist presented a biography of a Somali who carried out a suicide bombing in the city of Afgoye in Lower Shabelle, Somalia, as the second issue in the "Biographies of the Well-Known Martyrs in East Africa" series. A jihadist gave a biography of a Chadian fighter who was killed in Somalia as the first issue in a new series called "Biographies of the Well-Known Martyrs in East Africa". A jihadist directed a message to the Shabaab al-Mujahideen Movement suggesting it launch attacks outside Somalia and strike American and Western interests in the region. 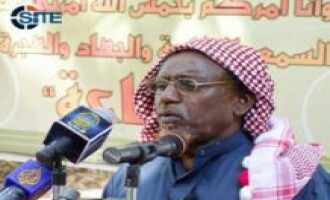 Shabaab al-Mujahideen Movement leader Mukhtar Abu al-Zubeir urged Kenyans to boycott the March 4, 2013, general elections and demand the government withdraw their forces from Somalia. 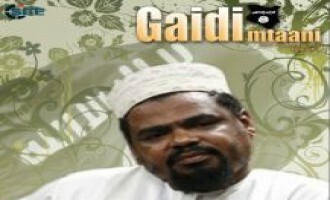 The publishers of “Gaidi Mtaani” (Terrorism Street), a pro-Shabaab magazine with English and Swahili articles, released the third issue, featuring a cover story on slain radical cleric Aboud Rogo Mohammed, and pieces attacking democracy and claiming that the deaths of Ethiopian Prime Minister Meles Zenawi and Kenyan Defense Minister George Saitoti were acts of God. 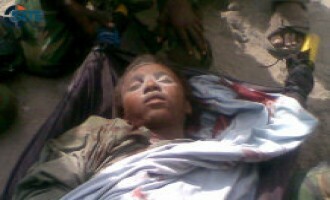 Ahead of the Kenyan general elections on March 4, 2013, the Shabaab al-Mujahideen Movement warned the Kenyan public that voting for their current leaders is tantamount to choosing war over peace. The Shabaab al-Mujahideen Movement released a video of its fighters destroying "idolatrous" tombs in a village in Juba region of Somalia. The Shabaab al-Mujahideen Movement released a video featuring an American and two Kenyan fighters inciting for jihad and urging Muslims abroad to either travel to Somalia or fight in their home country. An alleged foreign fighter in the Shabaab al-Mujahideen Movement released a document exposing Omar Hammami (AKA Abu Mansour al-Amriki) as immature and self-aggrandizing and his accusations against the Shabaab as lies. 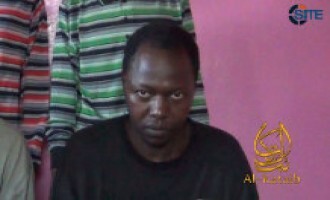 The Shabaab al-Mujahideen Movement announced that it executed Private Jonathan Kipkosgei Kangogo, a soldier serving in the Kenyan Defense Forces, after the expiration of its deadline for the Kenyan government to respond to its demands. 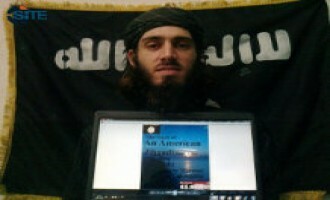 Shortly after the suspension of its English Twitter account on January 27, 2013, the Shabaab al-Mujahideen Movement's Press Office created a new account, and on it, posted reports of its work in Bula-Marer following the French raid to rescue Denis Allex. The Shabaab al-Mujahideen Movement released a video eulogizing five fighters, one of whom is Bilal al-Berjawi AKA Abu Hafs al-Lubnani, an al-Qaeda official who was killed in a drone strike in Mogadishu in January 2012. The Shabaab al-Mujahideen Movement released a video showing residents of Barawa, a coastal city in Lower Shabelle region of Somalia, discussing their daily life and praising the group for providing them security. The Shabaab al-Mujahideen Movement claimed responsibility for a suicide bombing at a Somali intelligence center located between the prime minister's home and the presidential palace in the capital, Mogadishu. The Shabaab al-Mujahideen reported on their activities from January 7- 17, 2013, claiming responsibility for eighteen attacks on Ethiopian, Kenyan, and Somali forces; marking the failed French raid to rescue the hostage Denis Allex; and announcing administrative activities. 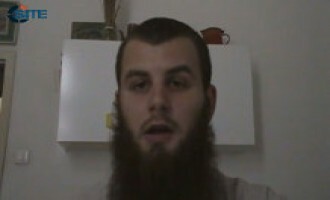 The Shabaab al-Mujahideen Movement released a video plea from one of its Kenyan hostages, Mule Edward Yesse, and threatened to execute him and other hostages if the Kenyan government does not answer its demands within three weeks.